If your question isn’t answered here, please get in touch with us! We would love to help out and provide some answers for you. Why should I drink cold-pressed juice? Cold-pressed juice is a great way to get a big dose of healthy, organic fruits and vegetables. Each bottle packs a punch of 2 to 4 pounds of produce! Incorporating cold-pressed juice into your diet and lifestyle can have wonderful health benefits. “Cold-pressed” means that the juice is extracted from the produce using hydraulic pressure, which gently presses the fruits and vegetables. Because the juicing is so slow, there is very little heat and oxidation created by the process – and those are two factors that would quickly kill off nutrients. This process keeps the maximum amount of nutrients, vitamins, minerals, antioxidants, and enzymes intact. They are all still alive in the bottle when you purchase it, and you can trust that your juice is raw, unpasteurized, and always organic. How is cold-pressed juice different from juice at the grocery store? There’s a huge difference between cold-pressed juice and the juice you buy at the grocery store, even the stuff that says “100% juice” on the carton. This juice is processed using a high-speed centrifugal juicer: a rough extraction method that immediately damages a lot of the minerals, phytonutrients, and vitamins. Next, this juice is pasteurized – which means essentially “cooked” – to remove impurities (as well as any remaining nutrients). This process ensures the juice can endure a long shelf life. Next, the juice is concentrated by its water being removed, and then they add in other juice concentrates, artificial vitamins and minerals, water, and often sugar – most commonly in the form of high-fructose corn syrup. Ick. Don’t I need fiber in my diet? Yep! There are actually two types of fiber: soluble and insoluble. Contrary to popular belief, juicing only removes the insoluble fiber from produce, while keeping the soluble fiber intact. Insoluble fiber, which is most often found in the bran layer of cereal grains, pretty much stays the same as it moves throughout the digestive system. Soluble fiber, on the other hand, transforms to a kind of gel, and as it moves through the body it eliminates toxins and impurities, helping the gastrointestinal tract to function without irritation. Soluble fiber is most commonly found in fruits and vegetables, as well as legumes and oats. While we need both types of fiber, temporary reduction of your insoluble fibre can allow the body to more easily absorb nutrients and enzymes. Where do you get your produce? Do you source ingredients locally? We get as much of our produce as we possibly can from local farmers. Of course, this is easiest and most abundant during the spring, summer, and autumn months. We take pride in trying to have produce picked and juiced in the same day as often as possible. Of course, certain ingredients in our juices, such as lemons, don’t grow in the Kootenays. But we work directly with farmers whose produce is 100% certified organic and whose farming practices celebrate their region's natural ecology. It’s important to us that the produce we juice is as high-quality and as fresh as possible. This happens because we don’t use any additives or preservatives in our juices - the only things that would prevent natural separation. Just be sure to give your juice a good, hearty shake before drinking it. Why does the juice separate in the bottle? Our juices are best before six days, but optimally consumed within three days. We suggest the three-day number because the most nutrients, enzymes, and antioxidants will still be alive in the bottle within this time frame. But if you’re moving toward the six-day mark, not to worry: your juice will still be delicious and healthy. If you aren’t drinking your juice right after purchasing it, make sure you store it in the fridge. Once you’ve cracked the bottle, we suggest drinking it within 24 hours. How long is the juice fresh for? All the produce we use are all 100% Organic, and since we are not adding anything else.... YES ALWAYS! It’s important to us that we only juice certified organic produce. This means that it is grown without pesticides, herbicides, or chemical sprays. 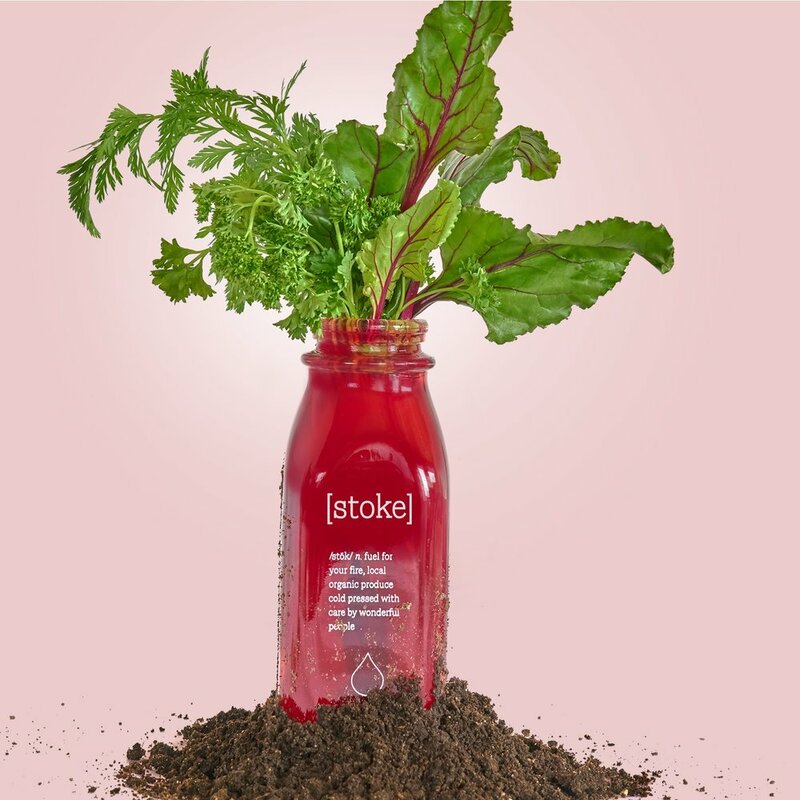 This means there is no harmful residue on the produce, and – most importantly – our juices are as sustainable and low-impact on our environment as possible. Are your juices 100% organic? What does “raw” mean? What about “unpasteurized”? These terms mean that absolutely no heat was used during or after the juicing process. Pasteurization is the process of heating a food or drink product to a high temperature for a short time, then immediately cooling it down. This kills off any harmful bacteria, impurities, or microbial growth that eventually will cause the product to go bad. This means that a product can endure a long shelf life with a low risk of contamination. However, along with all the bad things it fatally damages, pasteurization can also remove a lot of the good, healthy components that we want to consume – such as enzymes, minerals, electrolytes, antioxidants, and phytonutrients. A raw and unpasteurized juice means that it’s literally alive and thriving with all those healthy life forms. Keep in mind that certain unpasteurized items aren’t recommended for some pregnant women, so it’s a good idea to check in with your doctor if you’re expecting and ask if raw and unpasteurized juice is safe for you. Why are your juices bottled in glass? We bottle our juice in glass for three reasons. One, it simply tastes better. And, we might admit, it also just looks better and feels better in your hand. Secondly, studies have shown that the chemicals used in plastic bottles can break down and seep into the liquid they are carrying if it’s exposed to heat or sunlight. Sure, these might be small trace amounts, but we want our juice to be as pure as possible – including the container you get it in. The third and most important reason we bottle our juice in glass is because we care deeply about the environment, and we want our footprint to be as small as possible. Single-use plastic is nothing short of catastrophic for our planet, and we want to do our part to minimize what ends up in the landfill and in our wild waters. What should I do with my empty bottles? Return them! We love getting them back. We’ll sterilize them and refill them with new juice. This is one small way that we can do our part to minimize our impact on the planet. Do you have a juice that has lower calories and lower sugar? Sure. If a low-calorie, low-sugar option is what you’re seeking, we recommend the OMG or the Boss. I’m interested in doing a juice cleanse. What do I need to know? First of all, congrats! We think you’ll love the increased energy, mental clarity, and healthy lifestyle choices that a juice cleanse can kick-start in your life. If you’re thinking about cleansing with us, please get in touch – either through the website, by phone, or by popping in to say hi – because we will set you up with everything you need to know. We’ll help you choose a cleansing option that is ideally suited to your unique needs and lifestyle. We’ll also offer you some recipe ideas for pre-and-post cleanse, since the food you consume before and afterwards is a significant component of your cleansing success. Your cleanse will include all your juices (and which order to drink them in) as well as a written pamphlet that will work as a guide for your cleanse, offering advice on what to expect before, during, and after cleansing, and how to get the very most from it all. We think a cold-pressed juice cleanse can be an important part of your wellness journey, as it can inspire significant shifts towards a clean, plant-based diet and a healthy lifestyle.